Although the typical building utilizes vinyl siding, metal applications are ever gaining popularity among more residents and business owners. 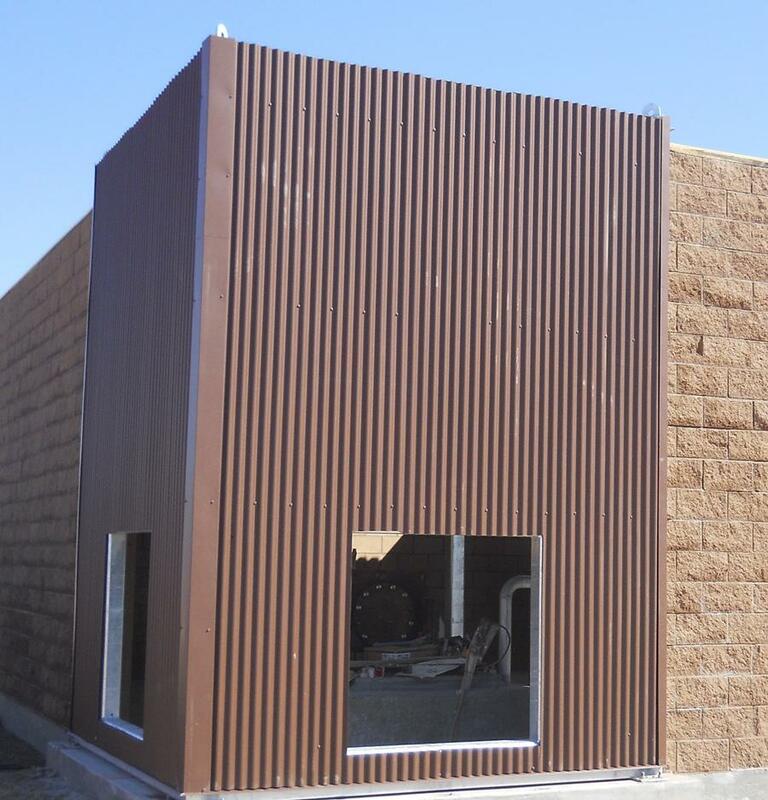 Metal siding systems combine the simple styles of vinyl with the lasting durability of metal sheeting. Whether you prefer a more industrial look, rustic, or classic family home appearance, metal siding can accomplish it all. Even though it costs a little more than vinyl, the added cost is reasonable, and you can’t argue with its benefits. When you choose Full Draw Construction for your metal siding installations, it means lasting protection against pests and environmental hazards. By choosing metal siding, you’re selecting the system type that requires less maintenance and upkeep while offering superior protection for your home. Choosing our team means getting complete siding installation and repairs for more material types. Even if metal isn’t your preferred type of siding, we have affordable repair solutions and applications every day. Our installers have the experience you can rely on for metal siding systems, vinyl, insulated panels, and more. When you hire us, it means getting the most comprehensive siding services for less on every call. Request your service quote today and see what you can save on siding. Corrugated steel is instantly recognizable by the repeating series of ribs, or corrugations, running through each panel. Depending on how far apart the ridges lie from one another will determine the final overarching appearance of your building. 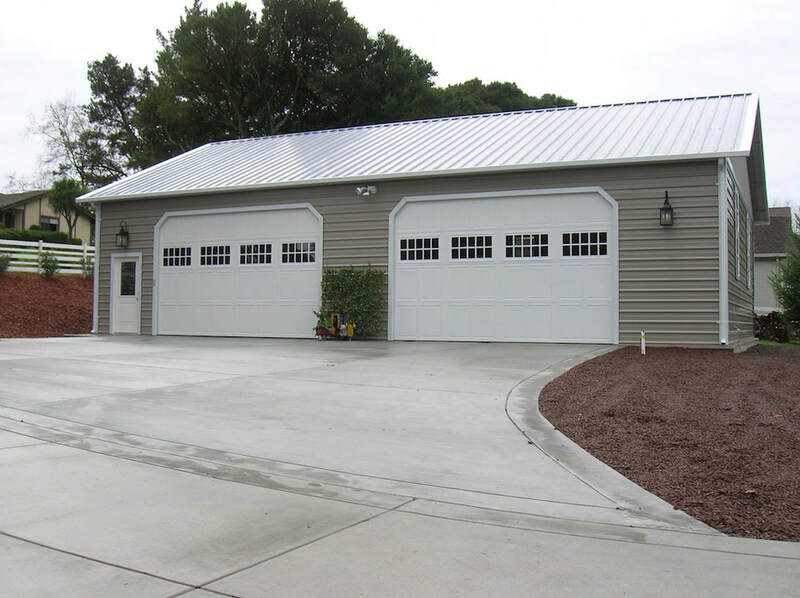 Whether you prefer the look of metal for your home, your business, or a shed or another utility building type, you’ll love the low-maintenance application each time. Best of all, the paint used for metal siding applications is resistant to fading, meaning fewer paint jobs as well. 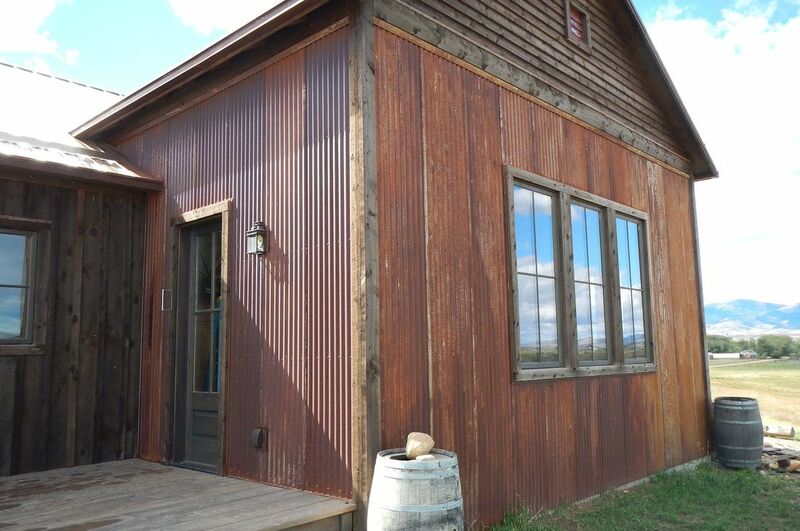 Balance costs with protection with corrugated steel siding. Request your free estimate today. Did you know that by merely changing which direction your siding panels run, you can completely transform the appearance of your home? 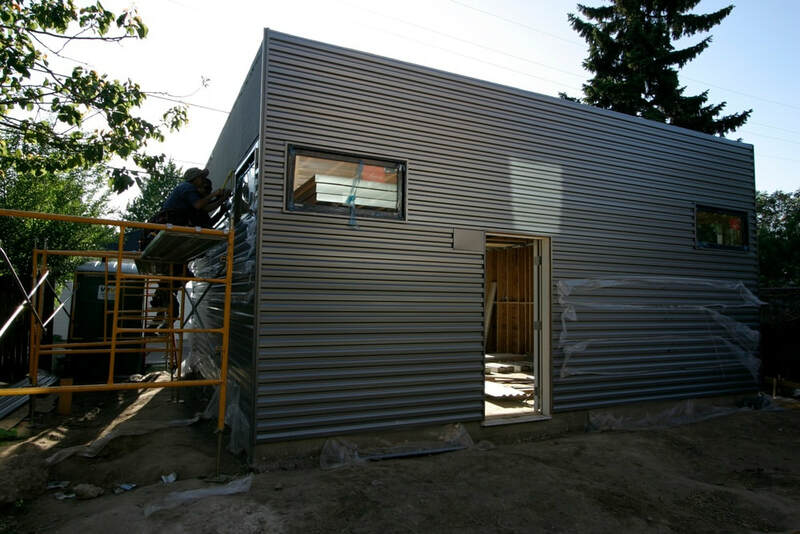 Vertically installed metal siding can create a more industrial appearance, which is ideal for living in the city or for storage sheds. Some homeowners prefer the appearance of grooves running from top to bottom, creating a streamlined appearance. Others enjoy it because it simply looks “right” for their industrial building or commercial property. Whatever the reason for your choice, we guarantee the best installation possible. Call today to discover how much you can save with us. Many homeowners prefer the look of horizontal metal siding systems because it mimics the appearance of traditional vinyl applications. When your panels run along the width of your home, it helps produce that classic residential look that most houses utilize. If your home resides among Colonial style buildings or other traditional house types, horizontal siding can help your building blend in better with your neighbors. Choosing a material other than vinyl no longer means drawing unwanted attention from your home owner’s association. Let us help you save on your horizontal siding applications. We guarantee the most affordable installations. When service providers first began installing metal siding, they were likely using their roofing panels on the body of the home. Although that provides many years of sustained protection, it still wasn’t what homeowners expected. Since then, the industry has gone further in creating real siding panels made of metal components that form a smoother finish and helps make the ideal home appearance. Stylish, contemporary, and affordable, it’s difficult to find a better application than modern metal siding. Make sure you’re getting the product you expect by calling us first. Request your free service quote and save. Many homeowners are concerned that if they choose metal siding that it may give their house too much of an industrial appearance. However, were you aware that you can add finishing touches to your new siding that helps achieve a more rustic appearance? By incorporating faux wood finishes to the painted surface, it allows your siding to blend in better with its surroundings. That is especially useful for barns, sheds, and homes in more rural areas. You no longer need to choose between durability and appearances when you allow us to go rustic with your new siding. While a homeowner should remain vigilant is inspecting their metal siding systems for rust, did you know you can enjoy weathered panels that appear that way intentionally? By applying a faux rusted paint scheme, it allows you to enjoy a distressed style that adds character to your home. Whether you choose to make your home appear more rustic or the shimmering appearance of new metal is too bright for your preferences, we are here to help you. Pre-rusted metal siding is an ideal application for metal siding awnings, sheds, barns, and other rustic building types on your property. Choosing copper siding is a unique choice that installs as its natural metallic finish, which will naturally weather over time. 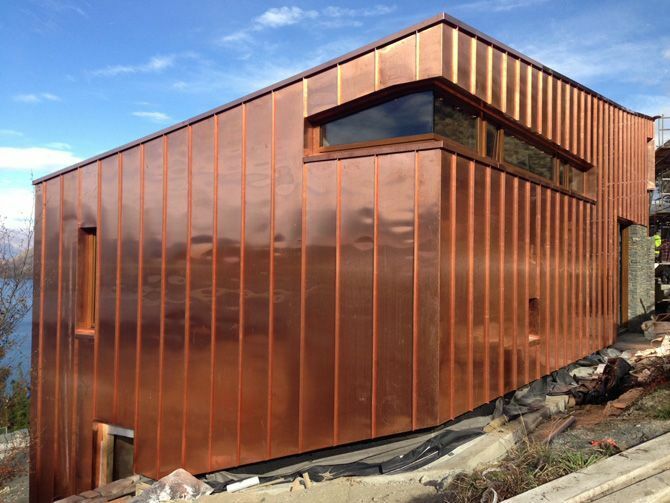 Whether you want a different material to differentiate your home from your neighbors or you enjoy the thought of a slowly oxidizing finish, copper is an ideal choice for many. 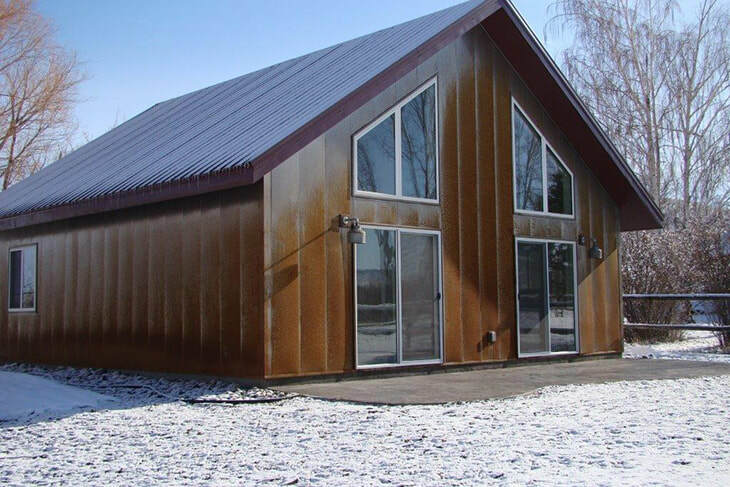 Copper siding is also versatile in that you can coat your entire building with it, or use it as an accent piece along with other siding types. Whichever way you decide to go with your copper siding, Full Draw Construction guarantees the best results possible on every job.